Leather pants are just amazing. How perfectly they take the shape of the body is just fabulous. You would find both types of men, the one who are just blown away with the sheer style and feel of the leather pants and yet there are some who are a little skeptical about wearing leather pants. Do not refrain yourself from dressing in the stylish leather pants, just learn how to dress them up in the right way. No matter whether you are tall, short, skinny or have got that muscular look. You just need to buy yourself the right pair of pants. For all those skinny people buy trouser other than skinny. It would look great and well for those who have got that perfect shaped body, how about flaunting it in a nice pair of skinny leather pants. So it is important that you know about your body type before you actually buy the leather pants. What makes leather pants a must to own is that as you start wearing them the better the fitting gets and you feel more comfortable after every wear. The more you make it part of your daily wear the softer the fabric would get. If you think that you could all get this stylish attire at a reasonable price, well this is not true. Not only these leather pants would dig a hole in your pockets but you would also have a hard time looking for a nice pair. The best place price wise and variety wise is none other than the online stores. The online leather stores are a perfect destination where you could stop and shop to your desire. And yes they are price wise too. The online stores keep running various offers and discounts. You could browse through the endless varieties as long as you can and take your own time in making a buying decision. But yes, do check the credentials of the online store. Now, we have told you that anyone could wear the leather pants and you could find them at the best price on the online store, the next in the pipeline is the way of wearing them. There are certain rules of thumbs like do not wear a leather pant with a leather jacket. 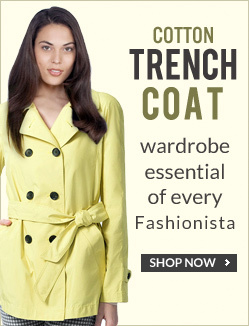 This is a huge fashion faux and make sure you do not commit this blunder. Consider mixing leather pants with another fabric. A turtle neck looks best with the leather pants. 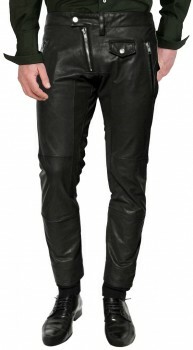 Though there are various color options in leather pants but if you are first timer consider the black color. Black leather pants are the safest the best way to get introduced to leather.